Come to our Open House for an inside look at why our Brookdale community is your source for senior living solutions. We'll serve refreshments, offer tours of our community and show you how we can help you and your loved ones understand all our community has to offer. Call: 541-926-6800 - View flyer. 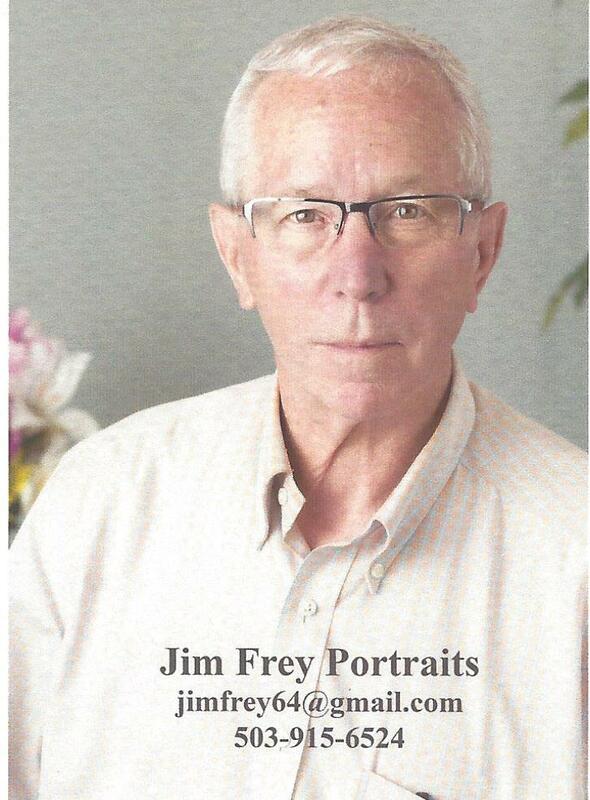 On the fourth Tuesday of the month Jim Frey will come in to the American Legion at 10:00 am to do four portraits free of charge for veterans. Veterans will receive one 8" x 10" color portrait. Call the Bunker at 541-791-4357 to make an appointment. You will be notified by phone when your appointment time will be. We will make four appointments for each fourth Tuesday with one alternate on standby in case someone does a no show. Sessions will last 15-30 minutes and portraits are printed and given to the veteran at the end of a session. You can get additional prints for $5.00 each sizes 4x5, 5x7, or 8x10 or an electronic copy/media of all three sizes for $20.00. This event will be happening December 8, 2017 at the Shilo Inn at 536 SW Elizabeth St, Newport, OR 97365 from 10:00 am to 2:00 pm. Every day more than 20 Veterans commit suicide. The VA continues to remind us to “Be There” for our Veterans. You can help to reduce the number of suicides committed by our Veterans by being aware of Veterans in your social environment that may need help. Help a Veteran by linking your Fred Meyers reward card to Vets Helping Vets HQ in the Community Awards program. You can help a Veteran by helping Vets Helping Vets HQ raise money to help Veterans in need. Do you have a Fred Meyers Reward Card? If so simply visit www.fredmeyers.com and log into your account. If you do not have one yet, then make an account. Once logged in to your account, click your name on the right top side by the “Welcome yourname” link then click “My Account” This opens your Account Summary page. Scroll down to the bottom of the page and you will find “Community Rewards”. Here you can type in Vets Helping Vets HQ or the number 84161 and attach your rewards card to VHVHQ Community Awards. A percentage of everything you spend at Fred Meyers will be given to Vets Helping Vets HQ. To register for this event go to Eventbrite.com and search for Veteran Career and Resource Fair. "A veterans career and resource fair will be held from 9 a.m. to 1 p.m. Oct. 3, 2017 at the Boys & Girls Club of Albany, 1215 Hill St. S.E. The event is sponsored by the club, Oregon Employer Council, Worksource Oregon and Samaritan Health Services. The career fair is for veterans, family members, members of the National Guard and Reserve and the general public." "The event will provide opportunities to learn about available careers and to engage with employers and support organizations. To register as a job seeker or employer/resource, visit Eventbrite.com and search for Veterans Career & Resource Fair." “Albany – United States Navy Veteran Kevin Rose, 68, and his wife of Halsey were living out of a car in 2015. The veteran, who served in Vietnam as a gunner’s mate, set his sights on finding a way out of their situation. Rose contacted Community Services Consortium (CSC), where he not only was assisted with housing, but also learned about the area’s Stand Down for Homeless Veterans event. Stand Down for Homeless Veterans is a nationwide movement locally coordinated by CSC in which businesses, agencies, and community partners offer services and items to homeless and low-income veterans. However, all veterans are encouraged to participate. This year, the third annual event will be held September 21 from 9 a.m. to 2 p.m. at Linn-Benton Community College, 6500 Pacific Blvd. SW, in Albany. This is a change of venue from Lebanon in years past.